This research topic explores how to optimize medications for older adults, and how to support health care providers to safely deprescribe. We are leading research that explores strategies to optimize medications for older adults. Many older adults are on multiple medications, and while it can be challenging for individuals to manage their prescriptions, it can also be challenging for health care providers to navigate medication changes. 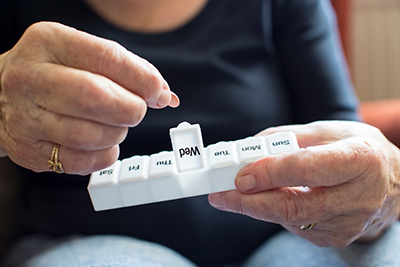 Developing resources to connect family doctors and other health care providers with experts in geriatric pharmacology is a key area of work to support appropriate deprescribing.